In less than a week on the 25th of February, South Africans will sit up to listen to the 2015 Budget Speech where we will see how the government intends to spend our hard earned tax revenue, and it’s estimated to be some R110 million less than they would have had due to thriving and rapidly growing illegal online gambling in South Africa. Indeed Finance Minister Nhlanhla Nene announced in 2014 the need for progressive tax policy and reforms to raise at least R27 billion over the next two years. “The legal casino industry in South Africa contributed R4.5 billion in tax revenue last year which is a significant proportion of the country’s budget from just one business sector. Any erosion of this amount is a real issue for the country,” adds Ngobese. Casino revenues are already showing signs of contraction. Overall revenues grew by a mere 0.6% in 2013/4, compared to the 10% growth in 2012/3. 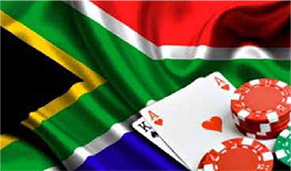 “While some of this reduced growth is certainly attributed to the overall slowing of the South African economy in the past 18 months to a growth of 1-2%, our evidence suggests that more aggressive illegal online gambling operators are targeting South Africans and taking revenue off-shore.” It is a view shared by the Dti who expressed their concern about the harm being caused to South African citizens by unchecked illegal online gambling activities. “We estimate that at least 5% of the revenue contraction in 2013/4 was due to the movement of expenditure to offshore illegal online gambling entities. That 5% loss of revenue equates to R110 million less gaming tax revenue this year for the country,” clarifies Ngobese. Putting that loss of revenue into a more tangible format, R110 million could pay the salaries of an additional 594 teachers for children; or equipping around 11,000 school children with a computer tablet and broadband access for the year, “a far better use of your online investment than giving your money away to an off-shore operation,” says Ngobese. The mass media campaign aimed at illegal online gambling operators, players and service providers has already had some good results. The campaign, which includes online content, radio advertising and print ads, has a tongue-in-cheek direct marketing style calling on the public to invest in a harmless illegal business – a parable for giving hard earned personal income to illegal online casino platforms. “We have already had some good reports to the Provincial Gambling Boards about illegal operations which are currently being followed up by investigators in sting-operations,” says Ngobese.